iCloud send me a message telling me that I had used up almost all of the available storage space. And most of it is filled up by pictures snapped with the iPhone. I guess, since living in beautiful Thailand on a daily basis we are taking a lot more pictures “on the go”. But while going through the almost 1,000 pictures I also noticed that I developed a habit of photographing the food and drinks we consume. Especially when they are beautifully presented. Looking at all these pictures I realized that you would most likely enjoy them as well. So from now on I want to share with you more often beautiful food. 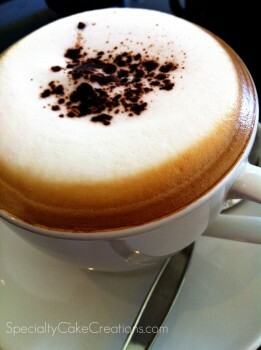 This foamy cappuccino I enjoyed in a little cafe on the pier here in Krabi. My husband and I love the quiet and relaxed atmosphere of the place. Often we come for breakfast, but sometimes just for coffee, or a refreshing fruit shake. 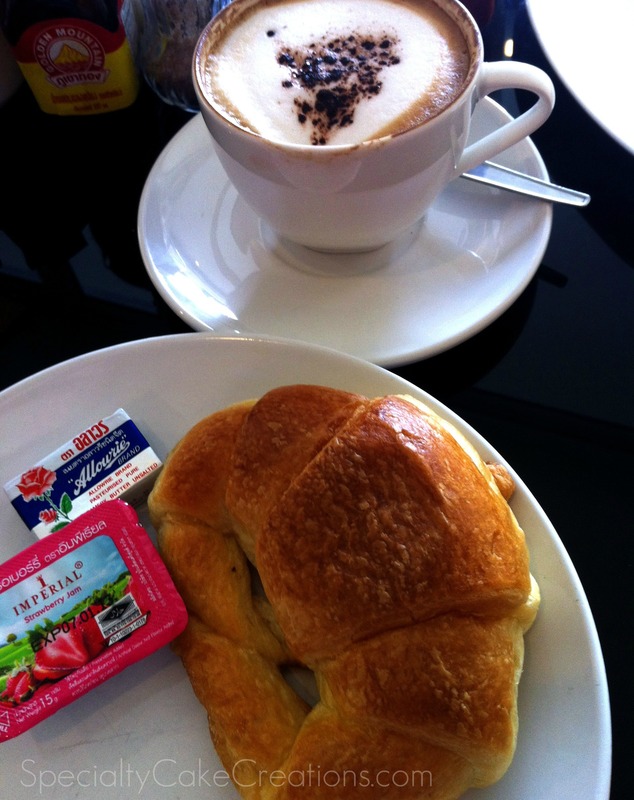 With my foamy cappuccino I enjoyed flavorful, buttery croissant. One of the best I had in a long time. So flaky, with a crisp outside but tender center. It made me wonder what the secret to a good croissant is. Although I can’t bake anything at the moment I looked around for homemade croissant recipes. Risking to sound all Julia Child-like I would say the secret to the amazing taste is probably the large amount of butter. There aren’t any fancy ingredients needed to make croissants. If you have flour, salt, sugar, butter, yeast, eggs, and milk at home you are ready to go. Well, not quite. The simple ingredient list is deceiving, as the process is anything but simple. If you are not too intimidated yet you should check out square kitchen’s post on homemade croissants. Their’s look amazing and they have a detailed step-by-step explanation.